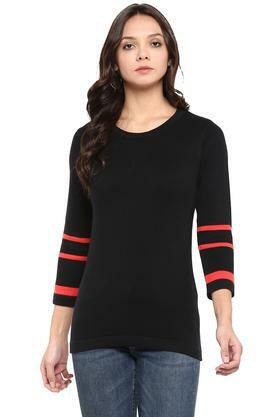 Make a chic statement in this winter with this sweater from Stop. It has been made from a good quality fabric which will provide you coziness throughout the day. 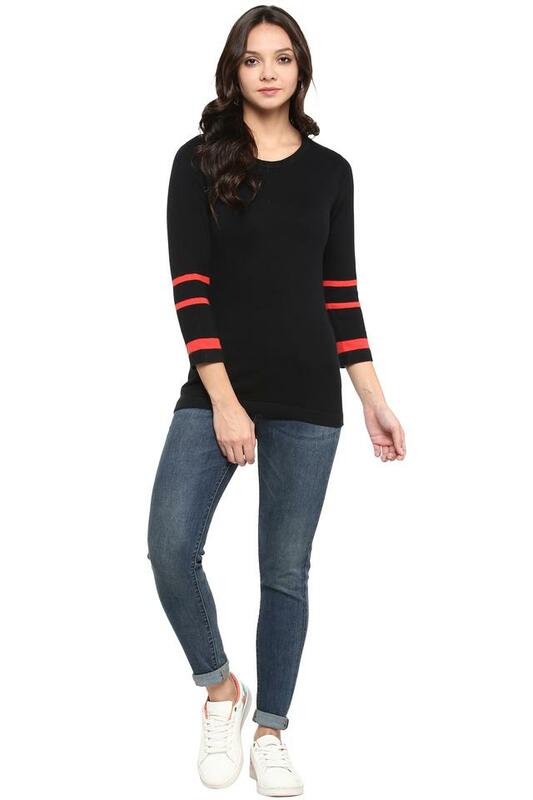 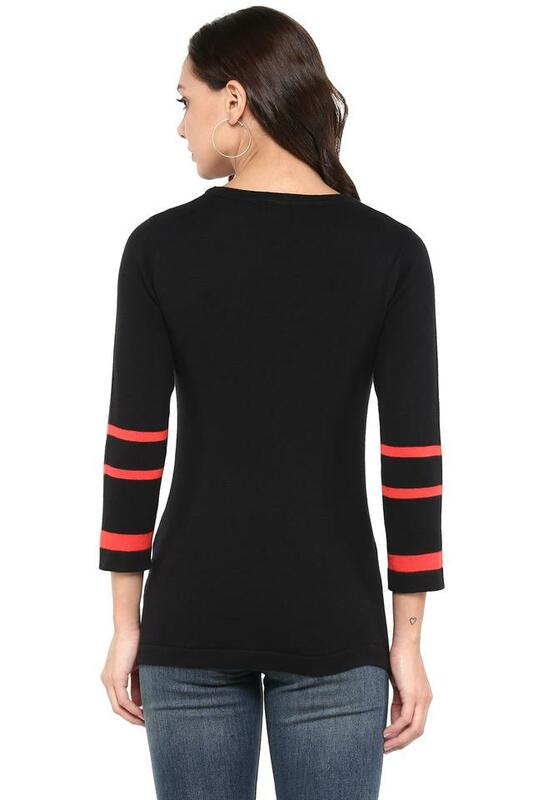 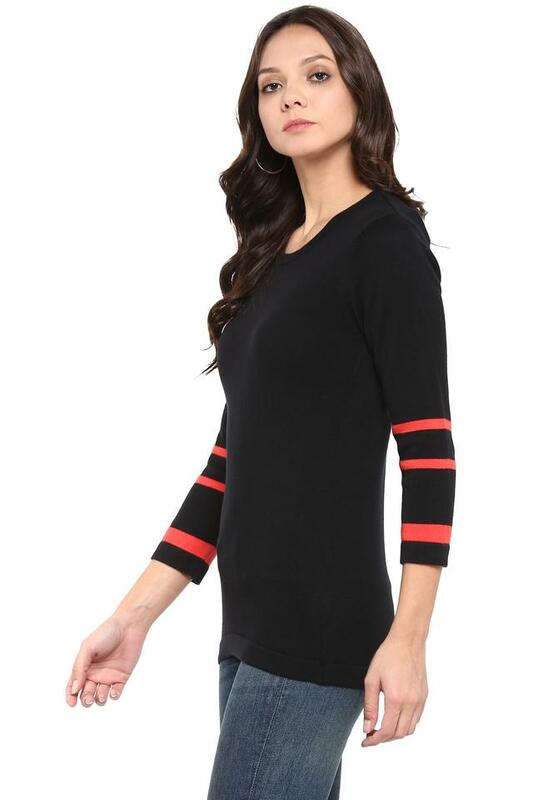 Featuring a round neck, three quarter sleeves and solid pattern, this sweater holds a superlative charisma. Add a contemporary edge to your looks with this sweater. Charm the world by coordinating this sweater with a pair of jeans and strappy flats.